Billy is a six-year-old boy who wants nothing more than to stay up past his bedtime. Instead of going to sleep, he imagines all sorts of strange and spooky excuses to stay awake. Through love and reassurance, Billy’s parents show him that there is nothing in the dark to be afraid of. 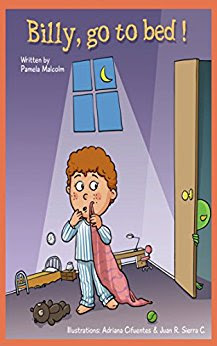 Pamela Malcolm has created the perfect tale to read with any child who tries to avoid going to sleep. With memorable illustrations and an important message, Billy Go to Bed is a wonderful bedtime story that will be treasured by children and parents alike.